Enjoy greater rewards when you choose Just Energy! Already a Perks Rewards Program member? Join our Perks Rewards Program1 and earn points when you first sign up, and every quarter afterward if your account remains in good standing. 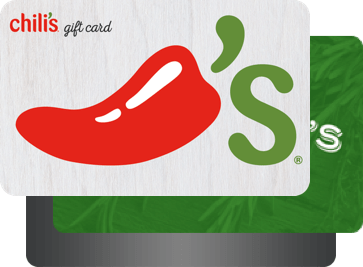 Redeem your Perks points on gift cards, Visa® Prepaid Cards, or energy saving devices. All residential plan customers who provide their email address will be automatically enrolled2 in Perks, our complimentary loyalty program. Earn points every three months as a thank you for being a loyal Just Energy customer, and earn additional points through the purchase of other deals exclusive to Perks members. Redeem your points! 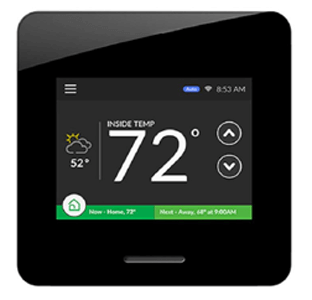 Your reward options range from devices like smart thermostats, LED bulbs, shopping or dining gift cards, or Visa® Prepaid Cards. as a new Perks member. You'll get an additional 1000 bonus Perks points when you activate your account. Earn 500 points for every three months of service. Keep your energy account open and in good standing to earn points automatically each quarter. More points. More rewards. More savings! Questions about the Perks Rewards Program? Am I eligible to participate in the Perks Rewards program? Yes! All Just Energy active customers with accounts in good standing are eligible to participate in the Rewards program. All you need is a valid email address to sign up as a Member and a mailing address to receive your Welcome Gift. How do I join the Perks Rewards program? Sign up with a valid email address, and you’ll receive an activation email with a link to our Rewards site. Simply click the link and create your password to complete registration. How do I earn Perks points? Members earn 2,500 Perks points just by enrolling in the Rewards program. 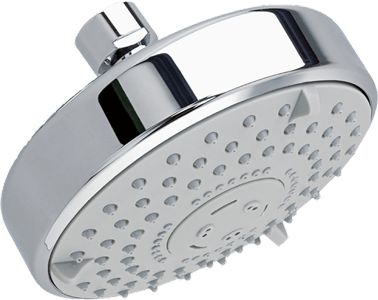 Afterward, you earn points on a quarterly basis simply by paying your utility bill on time. You’ll receive an 500-1000 points every three months depending on the length of your contract. To redeem your points, log into your account on the Perks Rewards website. Click the “My Account” tab to see your points balance and view Rewards options, such as energy-saving devices, shopping and dining gift cards, or Visa® prepaid cards. How do I find out how many points I have? Login into your account on the Perks Rewards website and click “My Account”. Your points balance is displayed at the top of the page. Do my Perks points expire? Yes, your Perks points will expire 3 calendar years after issue for current customers. If you cancel your service with Just Energy, your points will be suspended and forfeited at this time. How soon my do my points appear in my account? Once enrolled in the Perks Reward program, you’ll receive an automated email each time points are loaded. Upon account activation, your New Member points are automatically loaded to your account, and quarterly points will be deposited into your account every three months based on your account registration date. For one-time Perks Bonus points—awarded when purchasing eligible Perks Member exclusive deals—points are loaded within five business days of acceptance or purchase of eligible deals. 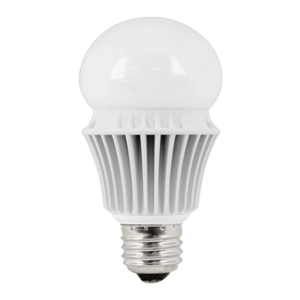 Is shipping free on the energy saving products? Shipping is free for most Reward products. However, a few bulkier or oversized items—and products shipped to Hawaii or Alaska—may require additional delivery fees. These can be paid with your Perks points balance or a credit card during checkout. 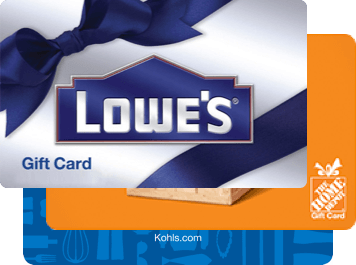 How do you send gift cards and energy saving products? Rewards products and gift cards are shipped via United Parcel Service (UPS) Ground Services or United States Postal Service (USPS) with an estimated arrival time of 10-14 business days. What do I do if my gift card, prepaid card, or energy saving device doesn’t work or never arrived? If you’re having trouble with your Perks Rewards products, you can email our Customer Care team at perks@energyearth.com. Or you can call us at 1-844-210-9094 for quick, friendly assistance between 9am–5pm Eastern Time Monday through Friday. 1 The Just Energy Perks Rewards Program is valid in United States and Canada. Perks Rewards is not applicable in the UK, Ireland, Germany, or Japan. 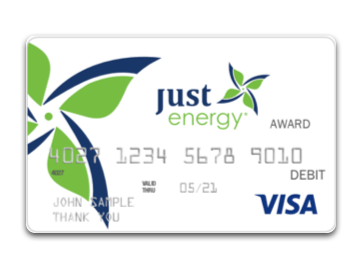 2 Sign up for your Just Energy plan with a valid email address to be automatically enrolled in the Perks Rewards Program. New members must complete registration by activating their Perks Rewards Program account from their email.